ACE TRAINING AND DEVELOPMENT CENTRE provides examination from professional qualification awarding bodies. Professional qualifications are addressed to professionals who wants to secure that their knowledge and skill meet the demand of the modern market. As a Pearson VUE Authorized Test Center (PVTC) we can provide an on-site, on-demand testing for certification exams such as Microsoft, CISCO, VMware, Oracle and many more. Each year million of people around the world take an exam with Pearson VUE. Pearson VUE is the leader in computer-based testing and much more. Pearson VUE serves test owners and test makers in nearly every industry: Academia & Admissions, Financial & related services, Government, Healthcare, Information Technology (IT), Military and Governmental. Ace Training and Development Centre can offer on-site, on-demand testing for certification exams in the test centre in Nicosia. Popular exams offered are Microsoft, CISCO, VMware and more. By passing a software vendor’s exam you obtain a validation that you have achieved an adequate level of knowledge and skill. MikroTik offers a range of training and certifications all through the MikroTik Training Centers. Ace Training is organizing training sessions and exams regularly. You can only take the exam at the end of the training sessions. Candidates who don’t attend a course are not allowed to take the exams. 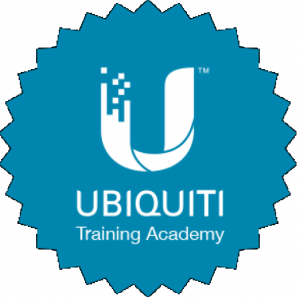 Ace Training is offering Ubiquiti’s training and Certification since 2016 and is organizing training sessions and exams regularly. You can only take the exam at the end of the training sessions. Candidates who don’t attend a course are not allowed to take the exams.